Gourmet Girl Cooks: Breakfast for Dinner Tonight & Gourmet Girl Cooks Turns 1 Year Old! 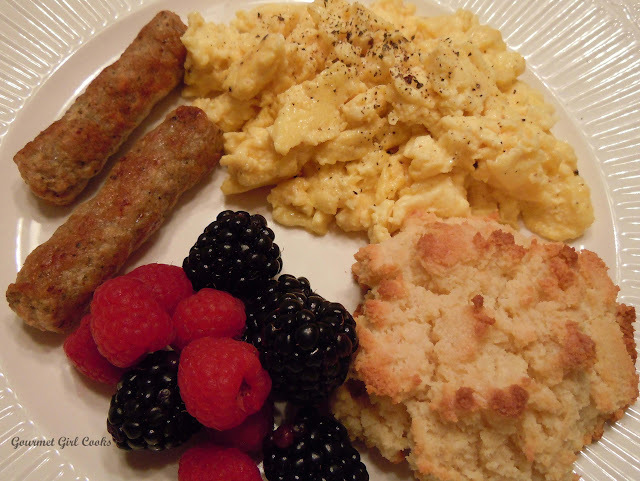 Breakfast for Dinner Tonight & Gourmet Girl Cooks Turns 1 Year Old! Today marks 1 year since I started my Gourmet Girl Cooks Blog. It has been an interesting journey that has evolved and changed as the year went on. Beginning this past July, I began my journey of eliminating all wheat, grains and sugar which meant having to learn how to cook and bake without using them. What initially seemed like a daunting task has actually turned out to be challenge that I thoroughly enjoy. I have proven to myself that it is possible to eat well and without deprivation with a few simple modifications. Since I have always enjoyed cooking, this way of eating has also allowed me to expand my creativity in the kitchen by experimenting and using ingredients I was not familiar with. And...the "sugar free icing" on the "wheat free cake" was that I also lost 52+ pounds in the process by simply eliminating those 3 items. Who knew it could be this easy? I look forward to seeing what this upcoming year will bring. I would also like to thank all of you for your kind comments and support over this past year. I hope that in some small way I have helped inspire and support you in your journeys too. For whatever reason, tonight I wasn't in the mood for a typical dinner of meat, veggies, etc. However, I was in the mood to bake (not cook). :-) After I got home from work, I made a batch of Apple Pecan Coconut Muffins using a modified version of the Cinnamon Spice Muffins that I made last week by substituting 1/2 cup of "no sugar added" applesauce for the buttermilk, increasing the cinnamon, removing the cloves, adding chopped pecans instead of walnuts and mixing in 1/4 cup of unsweetened grated coconut. I was also in the mood to have breakfast for dinner which meant I needed to bake a batch of my Southern Style Buttermilk Biscuits to go along with the scrambled eggs & white cheddar cheese and chicken breakfast sausages (by Applegate). I snapped a couple photos for you to see below. Enjoy! Happy 1 year Anniversary! You have helped me in my journey and I thank you!! Love your blog. Thanks for sharing all of your wonderful recipes. Happy 1st Anniversary! I am a recent follower, gluten intolerant, and have already tried a couple of your recipes. Great on your weight loss, amazing!!! Now, I hope to convince my husband to give up sugar and wheat too, as he needs to lose his big belly. Congrats on a year! I have very much enjoyed your blog since going wheat free in October! By the way, I made your chicken scampi-ish over the weekend. It was so delicious! Next time I think I'll try it with shrimp. Thanks for all your wonderful recipes. Finding your blog has been fabulous for me. 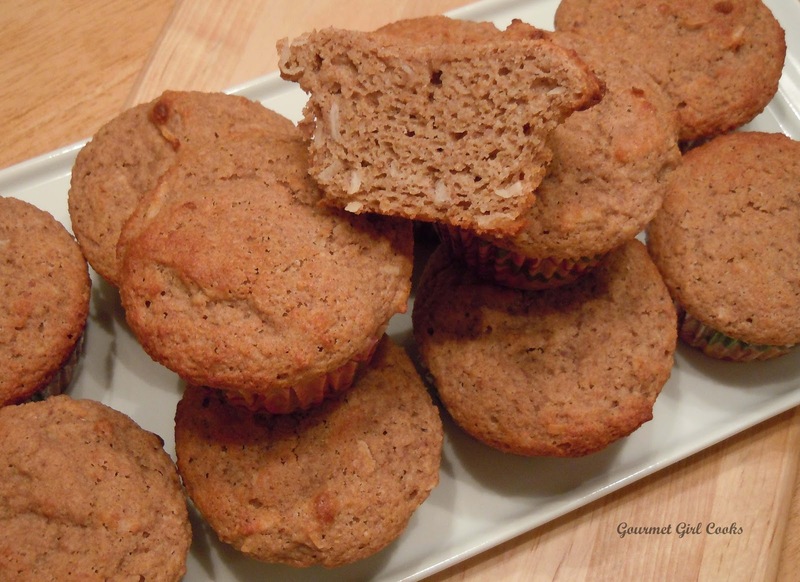 We gave up wheat and sugar last August as the result of cholesterol issues for my husband and of course, reading the Wheat Belly book was quite an eye opener. I couldn't see how I could adapt a lot of our favorite recipes so I have thoroughly embraced your meals and have shared your site with many people. I have regained my interest in cooking which had severely deteriorated once we became empty nesters. Your meals are delicious. I wish I had the courage to create things without a recipe like you do but I have experimented with other recipes that I have found on the internet. I have especially been trying to find a bread and pizza crust recipe. But, after many flops, I think I have finally succeeded and since sandwiches are an easy lunch for me, I'm glad the bread finally tastes good. Thanks so much for all your efforts. It is a labor of love, I'm sure. Happy Anniversary & Happy New Year! My resolution this year is to plan my meals ahead, a week at a time. My hubby & I have been wheat free since August, so between your blog and the Wheat Belly cookbook, I know this task will be a lot easier for me. Thank you so much for being there & sharing your tempting & delicious recipes!! We have just started wheatfree. Am loving your blog. Thanks for all the hard work. I just baked your Blackpepper Bisquits. I put a little too much salt but otherwise beautiful and delicious.